I got inspiration from images found on google, used a pencil to draw out the shapes, and then painted everything with fabric paint (and a bit of acrylic). 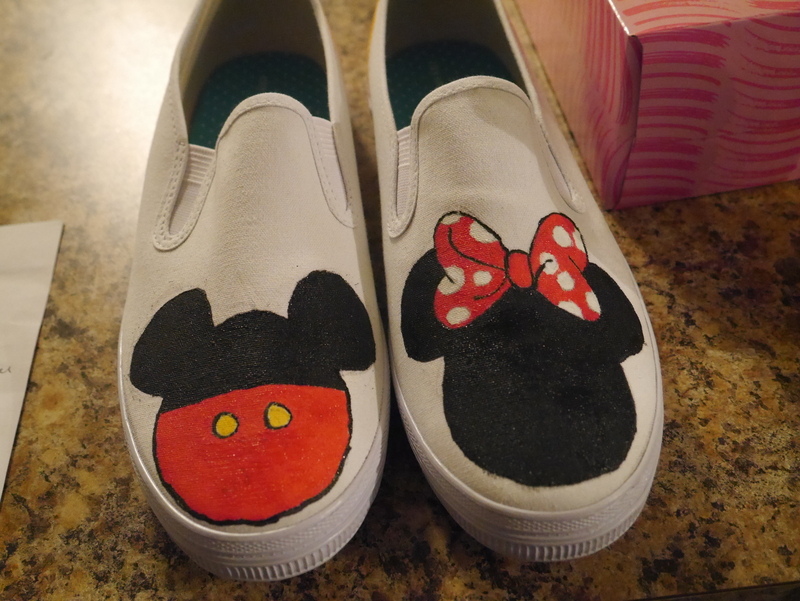 For my first time decorating shoes I think they turned out smashingly. Next time I’ll make lighter pencil marks because the eraser didn’t erase everything completely. I really liked the fabric paints though because I only had to paint one coat. The paint dried in four hours and was shiny too. Supposedly it can get wet, although I hope to not have to deal with that. 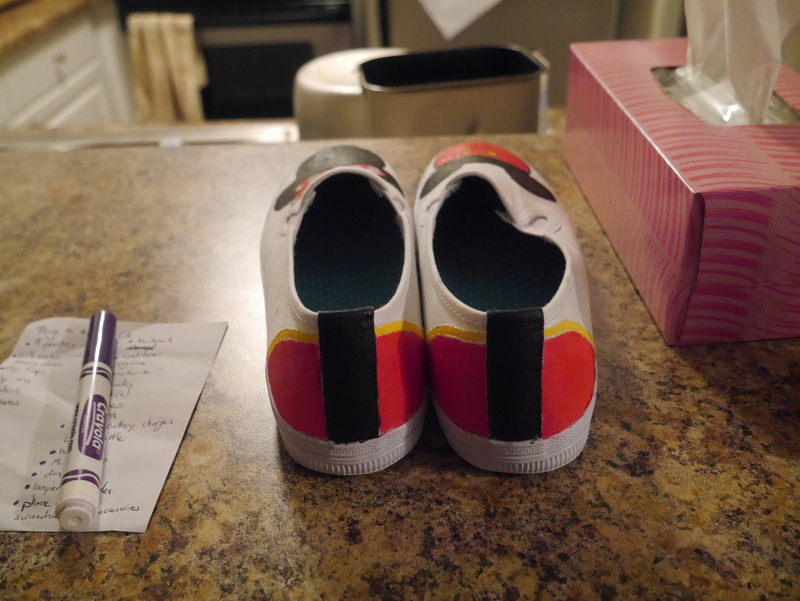 I might add on some black, red, and yellow dots to the sides of the shoes at a later point, still debating that. I wore them at Disneyland and got a few compliments too! They were fun to paint and fun to wear. 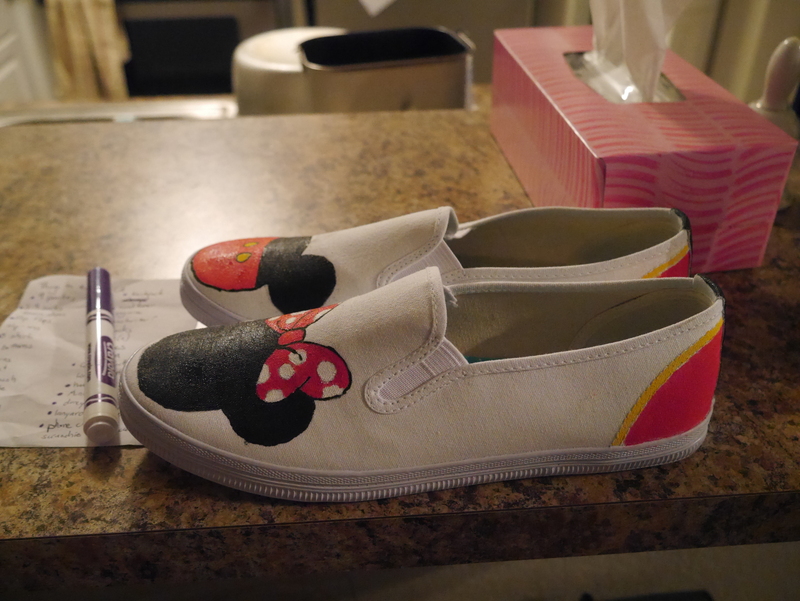 I wonder what I can paint my next pair of white shoes? !